Dog Training That Comes To You! Creating harmony in the home with effective communication, motivation, patience and consistency. Passionate about dogs, their welfare and responsible pet ownership, our aim is to provide you with a personalised and comprehensive dog training and behaviour modification service. 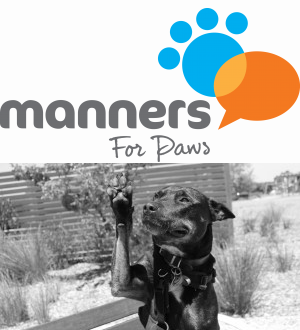 Using reward based dog training, we'll help the humans and paws of your family learn to communicate with each other more effectively and help you recognise what motivates your dog and in turn, provide you with the behaviours you want. Helping to create and strengthen your bond through training, will result in a better relationship between you and your dog. We are located in the Inner West of Melbourne but we service all areas of Melbourne. For more details, send a message or call Sharon on 0417 400 260 for a chat to secure your booking. Our in home Behaviour Consultation service can help you if your dog is displaying unwanted behaviours. Contact us and we'll work to help you understand why your dog is exhibiting these behaviours and provide you with the necessary strategies to work through these and help with any long term management plans. If the group training environment is not for you, we offer One on One Dog Training in your home or other location and we'll tailor a more personalised dog training program to help strengthen the bond between you and your dog and help build confidence through dog training. If you're short on time to train your fur-kid, we also offer Solo and Training Walks where we work on (but not limited to) lead walking, focus work with distractions, name recognition, recalls and anything else you'd like to achieve in these sessions. These walks can also provide a break in your dogs day if they spend time at home alone when you're at work. We look forward to meeting you and your fur-family soon.